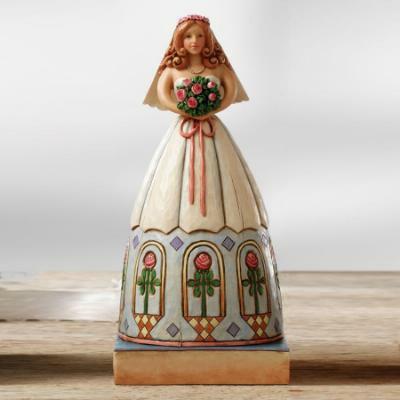 Bride Shore Figurine is a pretty 9-inch bride and is named 'I Love You'. This highly detailed folk art collectible is handpainted and made of stone resin to resemble hand-carved wood. Height: 9 inches tall.